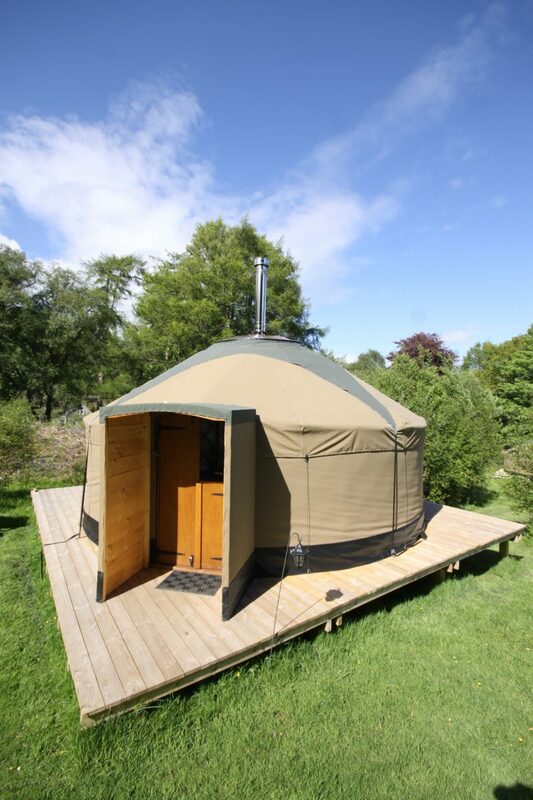 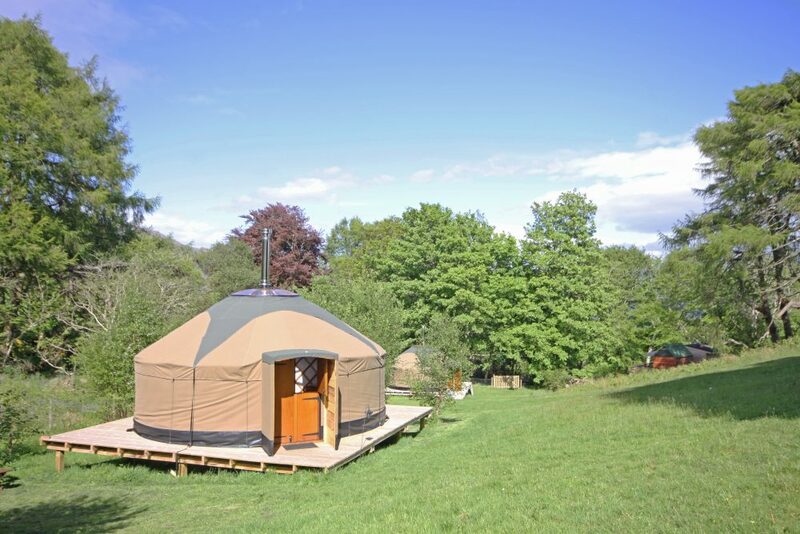 Our Water Yurt is ideal for up to five guests who are in search of a truly luxury Scottish camping experience. 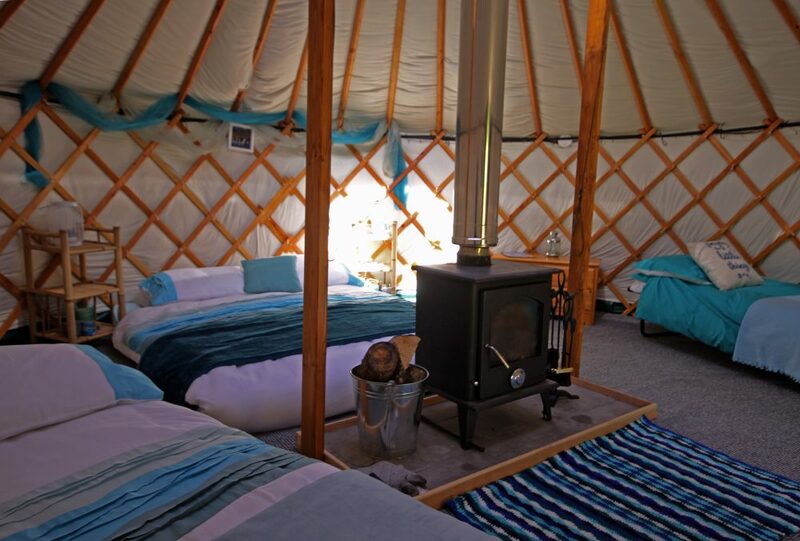 to reflect it’s water theme it is dressed in calming blues and aquas providing a light and airy environment Based on the stunning Isle of Skye, the Water Yurt is packed with modern essentials to deliver a comfy camping holiday for all to enjoy. 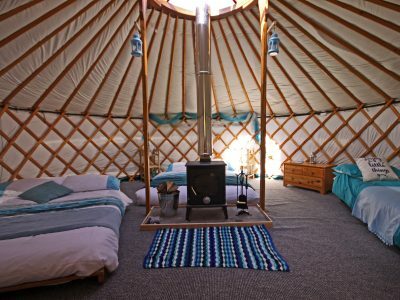 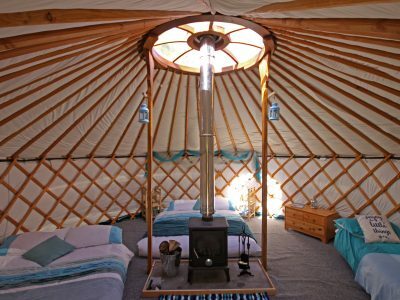 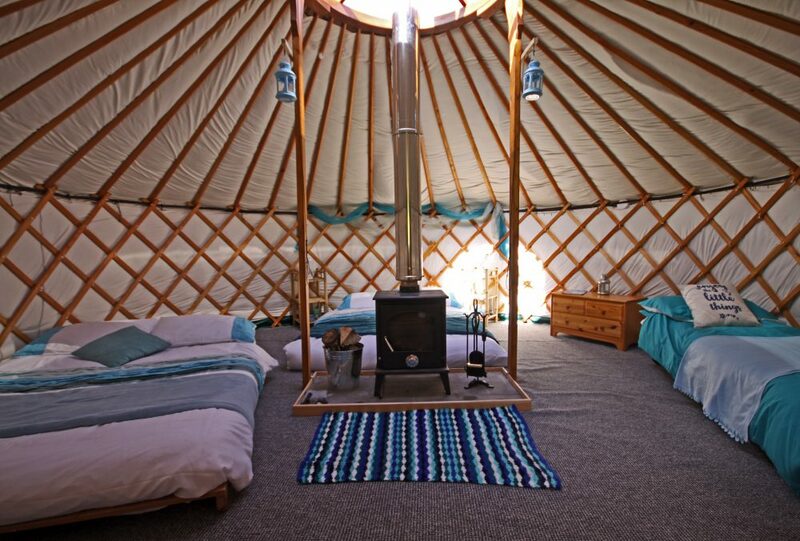 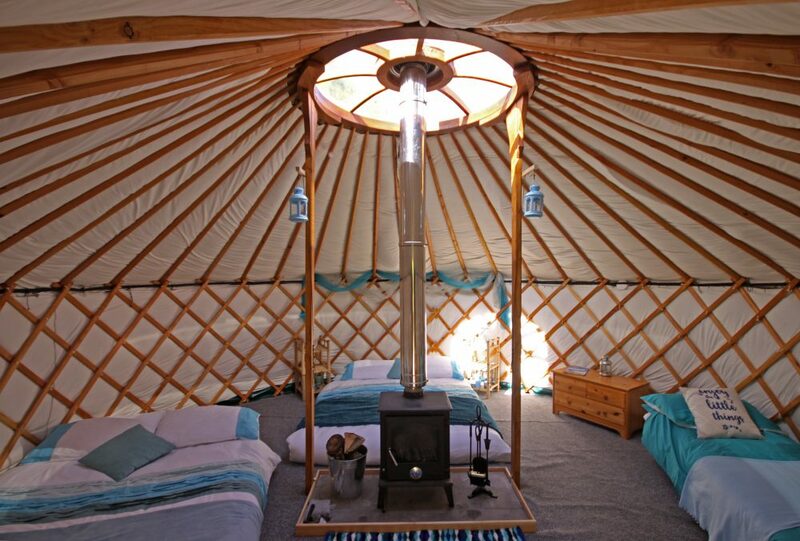 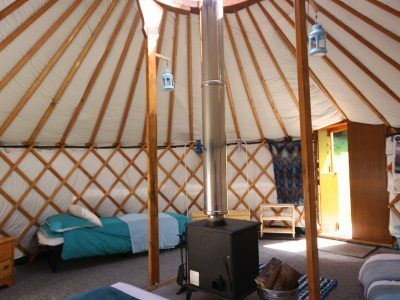 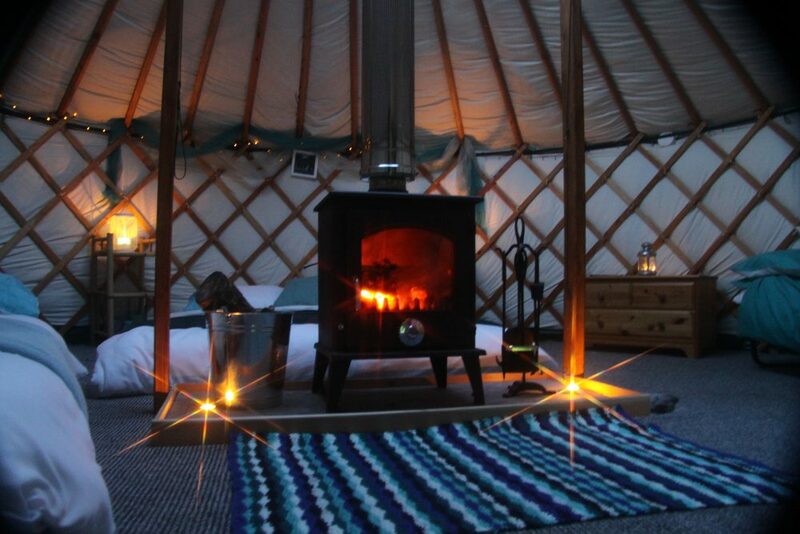 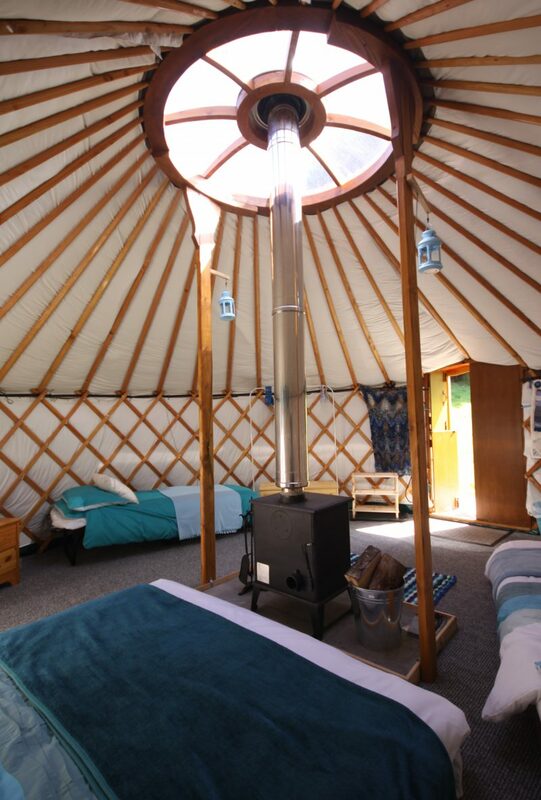 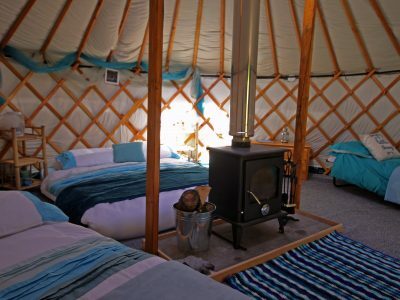 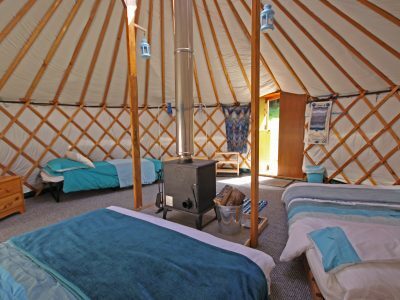 With a double bed, double futon and a separate “z bed” this Yurt is ideal for up to five people. 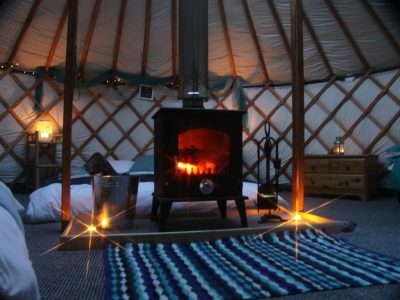 There is a built in wood burner and it is fully lined and insulted to ensure you will be warm and cosy, even on cold and wet days. 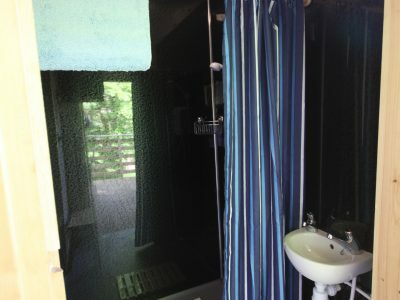 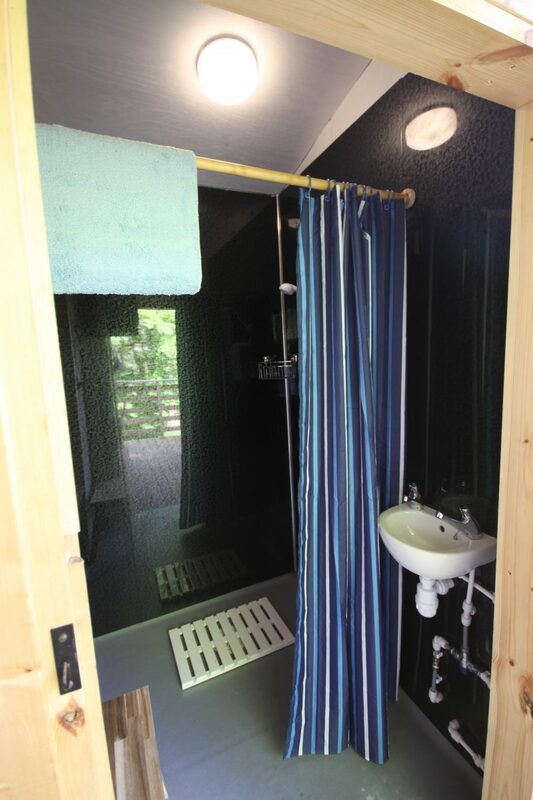 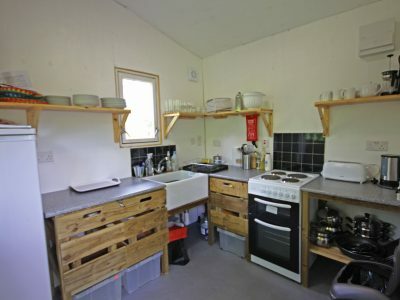 The communal utility building includes; toilet, shower and kitchen facilities which are cleaned on a daily basis allowing you to have a restful and peaceful getaway. 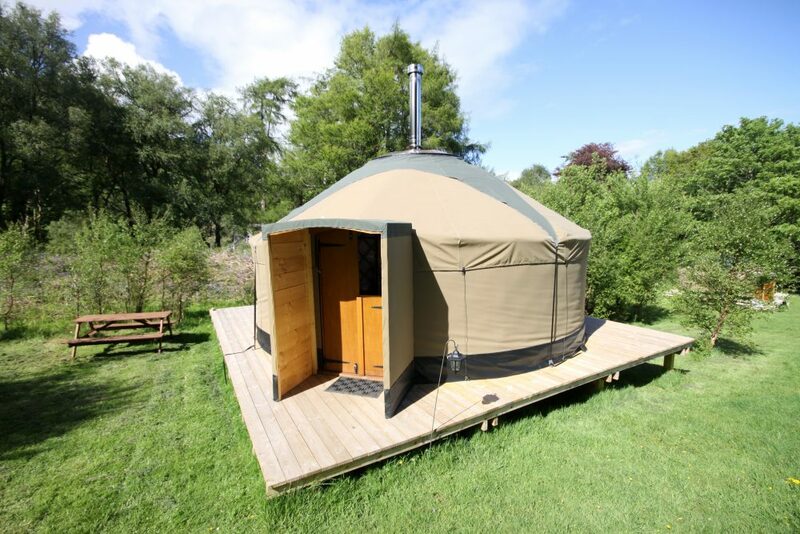 An outdoor decking area and parking space means no matter what experience you are after, our Water Yurt is the ideal place for you. 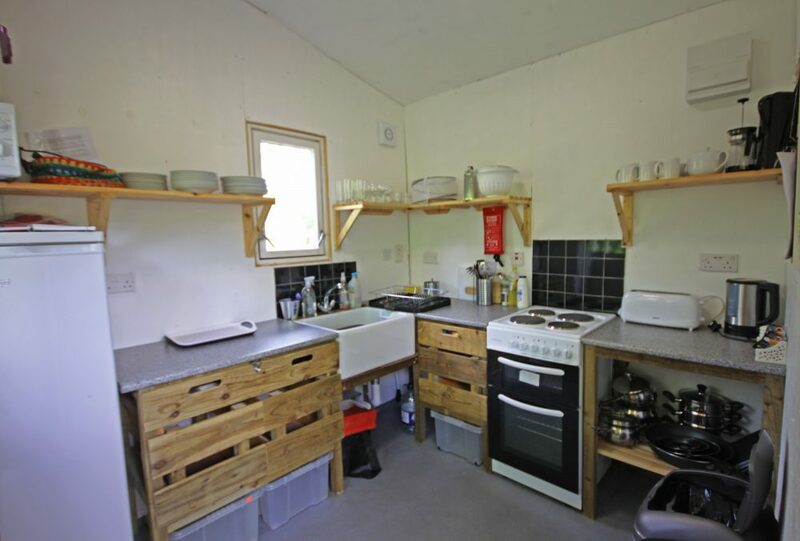 Kitchen : Shared fully equipped kitchen with mains electricity, full size cooker, fridge and microwave. 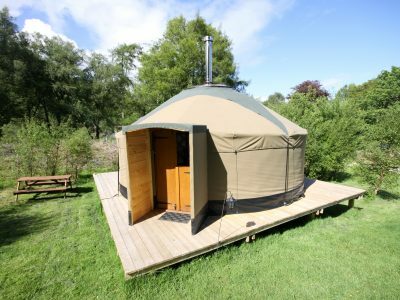 The Isle of Skye is famous for being “misty” and for having “wee beasties” (midges) so make sure you pack appropriate clothing. 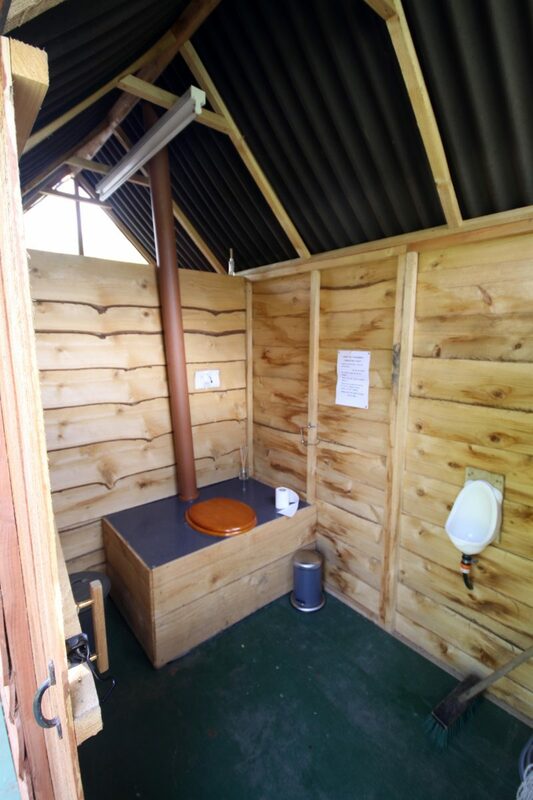 All the on-site facilities are accessible via footpaths however this involves going outdoors, it is important to consider this at night. 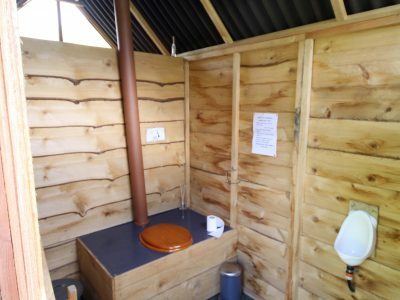 Every effort is made to ensure that the facilities are as comfortable as possible and accessible by all. 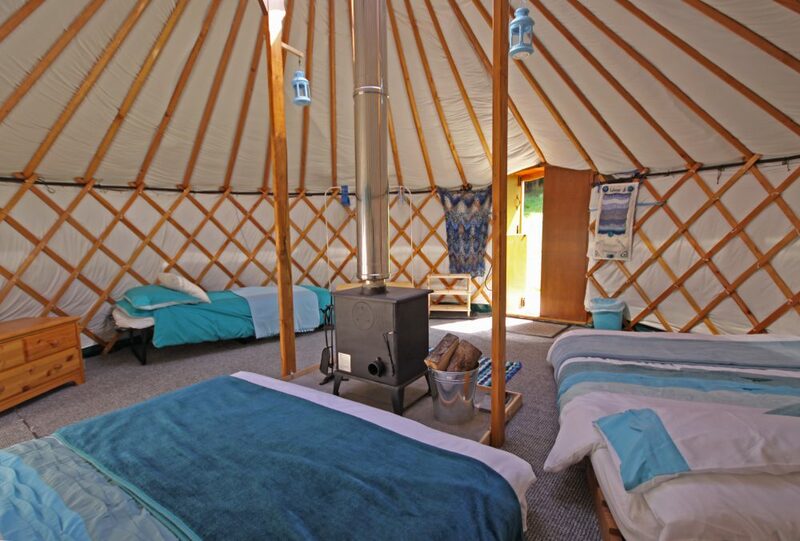 Please remember this is still an outside camping experience which means there are some slopes and uneven ground to be aware of. 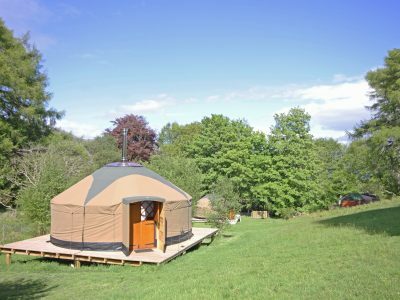 Buses run along the main road but the Island is best explored through an independent mode of transport such as car, motorcycle or bicycle. 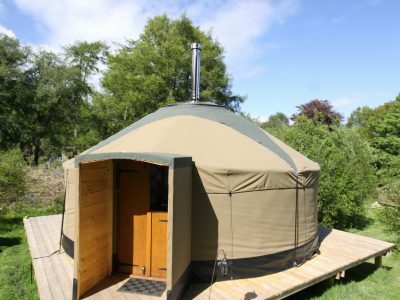 There is also a ferry at Armadale and the Skye Bridge, most places on the Island are a pleasant day trip from here.